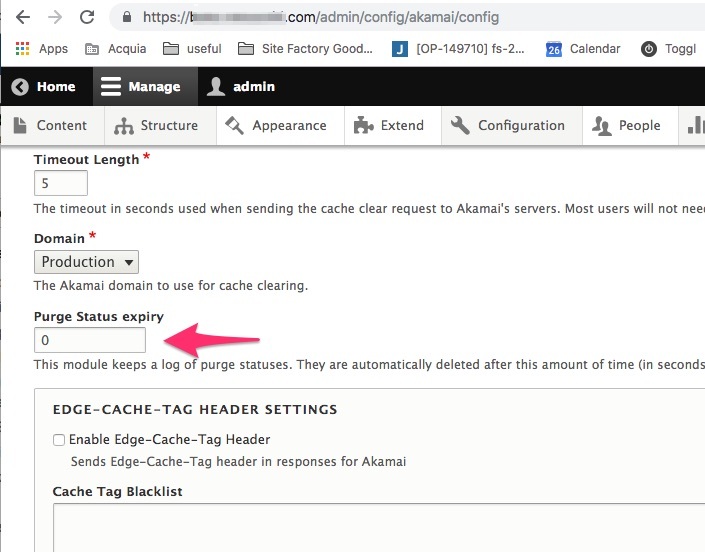 The Akamai module for Drupal 8 stores the Purge status in a key_value pair. On a busy site with many content updates, this can create performance problems as keeping track of a large amount of data in a single table row is poor design. An example of how this key_value can grow to the point where it's not-performant, this is the size of this table relative to other tables on the same site. Set the Edge Cache TTL (Time To Live) low – 1 minute - 5 minutes depending on your application requirements.